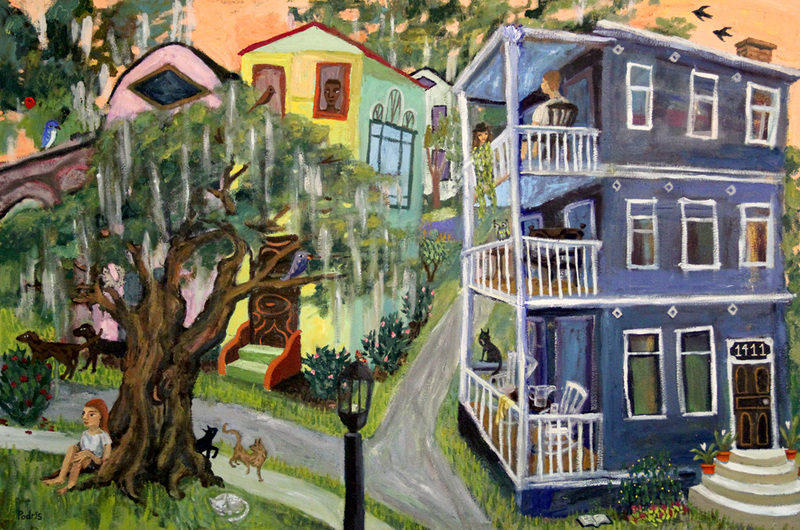 I did this painting for longtime collectors who were having to leave their beloved Charleston SC. Having spent time there, I created this imagined impression of the city. I was able to work with the client and include some personal details as well. This is a large cityscape I did for a family of beekeepers. They gave me a list of 20 or so symbolic elements they wanted included and I used my imagination.